On January 7 our friend, Philadelphia Police Officer Jesse Hartnett was senselessly ambushed while on patrol. Jesse was shot three times and seriously wounded, but was able to find the strength to call for backup and pursue the suspect. We are grateful that he survived the attack, but he has been left seriously wounded. His road to recovery will be long, but he has the heart of a fighter. Jesse will need all the help that he can get. Please help support Jesse on his road to recovery by making a donation. Donations will be used to help cover any additional expenses during his recovery. *This fundraiser was set up by Jesse's fellow Coast Guard Shipmate Mike Lukasak and his family who was inspired by Jesse's selfless act of bravery. Jesse "We got your 6." Arrangements have been made to distribute funds as needed to Jesse by his family. Thank you everyone for your continued support and prayers. As you know Jesse has had some ups and downs, but most recently he celebrated his marriage to his lovely wife. Congratulations Jesse, you two look wonderful together, and we all wish you nothing but the best. We also wanted to update on some of the progress that he had made over the past few months. 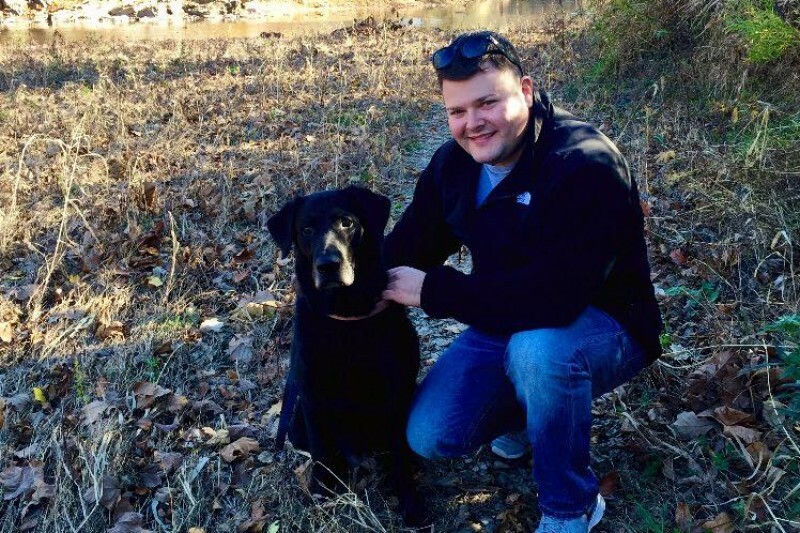 Since his injury back in January of this year, Jesse has undergone nearly ten major surgeries to try to repair the damage that had been done when he was ambushed and shot several times. 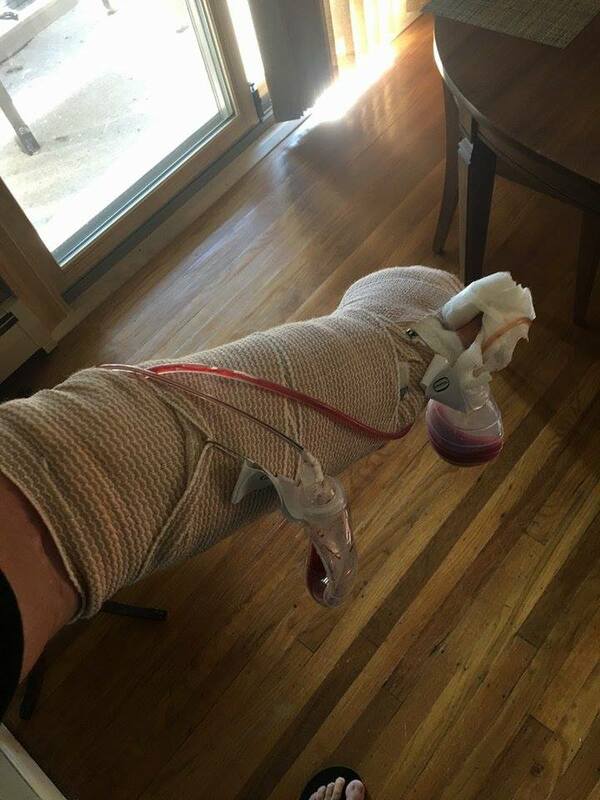 Jesse recently had surgery on his left arm for a tendon transfer. Jesse still completes physical therapy regularly, but continues to remain optimistic that he will regain significant usage of his arm and hand. As you also might have heard the trial for the man who “allegedly” shot Jesse will be held on Oct. 21, 2016. We all hope that Jesse and his family gets the justice that they deserve. Please continue to send your prayers and well wishes. I’ve attached the link to the article written about the upcoming trial. Thank you all for your continued support over the past couple of months. For those of you who have not heard last Thursday, Jesse had to testify about the ambush attack back on Jan. 7. I’ve attached a link at the bottom of this post if anyone is interested in reading it. It is unbelievable to think about everything that he has gone through, from seven surgeries to the long wait to get his elbow repaired. Even though he has been through extensive rehab he’s had to learn how to do everyday tasks with just one arm. But finally after more than two months of waiting Jesse underwent a major surgery today to place his elbow. It was the first surgery of its kind performed in the United States. Jesse will have a long road ahead of him and still really needs our support. Please continue to keep him in your thoughts and prayers as he moves forward with rehab to restore function to his arm. Also please continue to share his gofundme page and www.hartnettherofund.org. Jesse we got your 6! I want to take a moment and thank everyone for their renewed efforts. Since my last update two days ago, Jesse’s Recovery Fund has received several donations. I am grateful to know that there are so many people out there ready and willing to help spread the word about Jesse’s campaign. Please continue to share his gofundme page, and remember that every little bit does help. Also don't forget to check out the Hartnett Hero Fund, supported and organized by Brothers Before Others. They have great merchandise available for purchase with all proceeds going directly to Jesse. To view the items visit www.hartnettherofund.org. Jesse’s we got your six! I want to thank everyone for their support. I continue to be amazed by the generosity of those who take the time to donate and promote Jesse’s Recovery Fund page. We are extremely grateful for the prayers and words of encouragement that have been received. Although we have been able to raise a considerable amount of money, I am urging you to help renew our efforts in honor of Officer Hartnett and the sacrifices that he has made to protect this country. Before tonight it had been almost a week since the last donation came in. I understand that as time passes people forget, but please don’t let that happen to Jesse or the other men and woman who continue to put their lives on the line for our safety. I also understand that for some donations are not possible, but if you are able to reach out and personally contact individuals or businesses to make donations that would be extremely helpful. I know that many people have had success by asking each person within a group to contribute a small amount to an overall donation goal. As a reminder, there is also another way to donate directly to Jesse through the Hartnett Hero Fund. Items like sweatshirts, t-shirts, hats, patches and coins are available for purchase. Purchases can be made through www.hartnettherofund.org and shipped directly to you. Thank you again, I know that with your help and commitment we can help our friend and hero P/O Jesse Hartnett. Jesse we’ve got your 6. I am the wife of a former officer who was severely injured in the line of duty, was unable to return to work and almost 10 yrs later still undergoing medical treatment. For those asking about PD insurance etc. I can tell you it helps but does not cover all the losses especially income. Income is reduced by up to as much as 60% which is a huge strain on a family. Factor in overtime, etc. Having kids you find you cannot provide as you did while working. Kids don't understand why daddy or mommy isn't the same after surviving a horrific incident. There is the psychological stress known as PTSD, pain that is carried with you the rest of your life and the emotional stress placed on the entire family. No amount of money will fix the emotional scars. Before you judge and make comments please educate yourself as injured in the line of duty does not mean you are financially covered. It is a huge financial, emotional & painful hardship as our family continues to struggle. My prayers go out to Officer Hartnell, his family and our men & women in blue. I am a Canadian, in any event, I was horrified to see what I saw and heard happen to you Officer Jesse Hartnett, I pray you will be back on your feet with no serious life threatening injuries. I hope you are back on your feet soon, It is not really my place to say but, Thank you for your service to the American People, you are a hero sir, Best of luck and a speedy recovery, all the best, from Canada, Officer Hartnett. Gene, the police department does have insurance, it's called workers compensation and this officer will be compensated but it doesn't cover everything! Worker's Comp does not BEGIN to cover the costs of an incident at a "regular" job less getting shot by an Iz-Laym-Ik (sic) TearOar Ist. This public servant deserves all the help he can get. Jesse, I Love you man! After getting many of my former Penn classmates to contribute I just asked our local police department in Jacksonville Florida to send a patch showing our support for Jesse. Hope all my friends will ask their local police to send a patch!!! God bless you Jesse and speedy and full recovery. As a retired NYPD officer I stand in awe of your bravery valor and dedication. You are an example of what it means to be the "Finest"
Thank you Jesse Hartnett for your bravery! The Police and Fire Employees in Philadelphia are covered under what is called "Heart and Lung" benefits. As Barbara Statton said, he will continue to have his medical bills paid and receive 100% of his salary. I wish a speedy recovery Officer Hartnett! Pennsylvania Workers Compensation pays all medical expenses associated with an on the job injury. Income replacement is at 66% of worker's previous quarter wages, including overtime. I am also sure the Philadelpia Police Union has funds to help with unforeseen situations. Since this is a "in the line of duty injury" he will continue to receive pay until he recovers.. He will receive 100% of his pay, plus his insurance will cover his hospitalization. I hope you're well on the road to recovery. Hope your recovery is going well. Brothers in blue need to stick together and stay strong in these trying times for LE. Wish you the best! Officer Hartnett, We were terribly upset by the situation that you encountered last summer. We think you are an outstanding officer and wish you the best in your Recovery. You are in my prayers for a complete recovery!